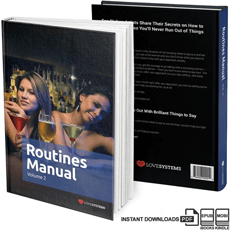 Review for Routines Manual Vol. II, The Manual's Great. IMO, it should be worth more than $99. The manual's great. I didn't realize I had so many routines that I can make after reading the chapter on "how to make routines". Thanks for making this manual, Savoy. You Rule!